It was September 2017, it was still cooling and winter season was not over yet in Tasmania. I was travelling from Singapore to Tasmania for the first time. Having busy for the weeks before my departure, I did not make a good preparation for myself to the unfamiliar weather in Tasmania. It was a great challenge for myself while staying in Tasmania during the winter because I did not bring along a winter cloth. With just a normal jacket which I used in my office in Singapore, I walked around in the street and even went up to the Mount Wellington. I was not remember what the temperature was when we were half way en-route to the peak. It was cold in the morning although it was sunny, later of the morning, just before noon, the sky went dark and started drizzling. We hurried up back into our rented car and drove away to the Mount Wellington. We were greeted by a rainbow. The picture below I took using my mobile phone, Huawei P10 with filter on. It is a beautiful scene, it always brightens up everyone’s the day whenever we see a rainbow. More happy if we could see double rainbows. 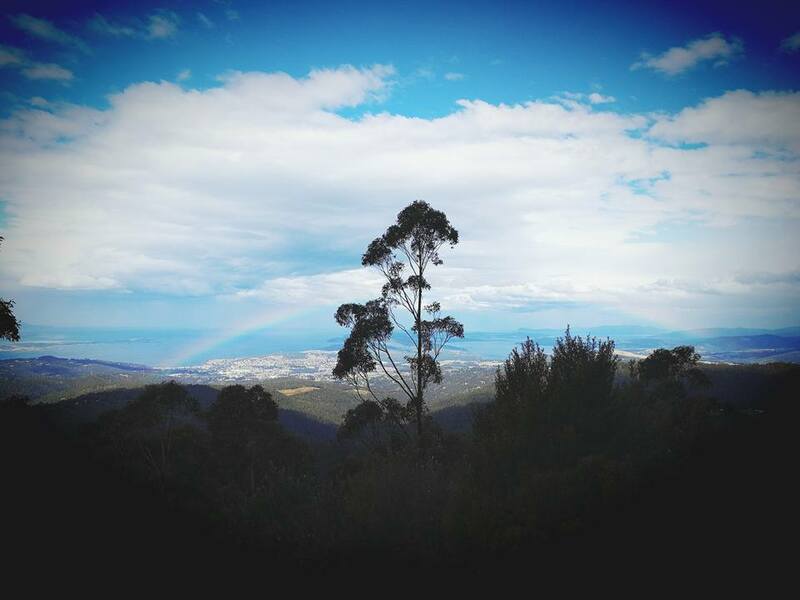 At that point of time, I looked at the rainbow, I felt all the worries have temporary left and I learned to enjoy my life and quickly adapt the environment in Tasmania.